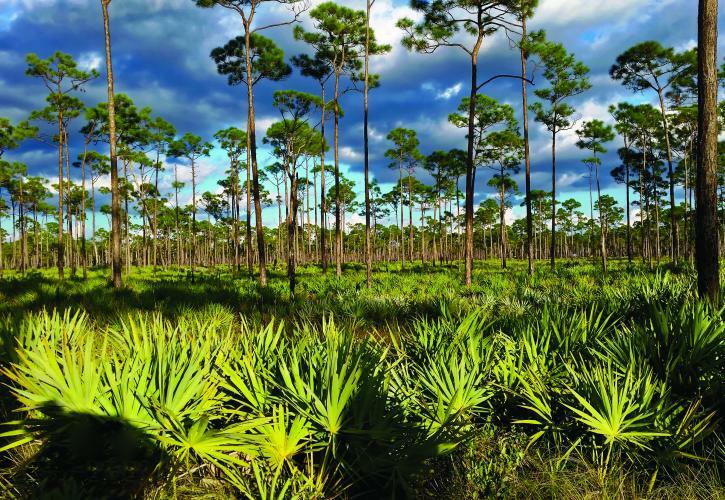 When you are looking for a fantastic state park in the southeast of Florida that welcomes RVers, look no farther than the largest State Park in the Sunshine State. This is Jonathon Dickinson State Park. The impressive park is made up of 16 individual and distinctive natural communities. Together these comprise the unique park grounds that are also the biggest state park facilities in all of the Southeast. What makes this state park so unusually special is that its habitats and environments are rare. These include a wide variety of geographical features. Jonathon Dickinson boasts upland lakes, coastal sand hills, and even scrub forests. Its greatest treasure must be the unspoiled Loxahatchee River though. They combine together to make this park into a completely one of a kind place for exploring, either on the water or via foot. It also boasts a number of interesting historical attractions. There is the unique story of the Quaker merchant Mr. Dickinson who became shipwrecked here centuries ago. The park was named for him. 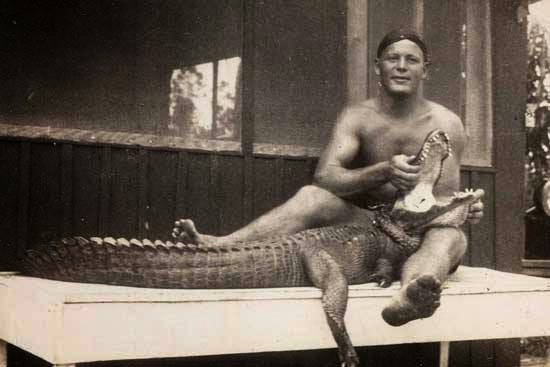 The Wild Man of the Loxahatchee. Photo credit Dreaming in the Deep South on Flickr. Centuries after that incident, the original Wild Man of the Loxahatchee River, Trapper Nelson, moved in and set up a camp along the river. Visitors can go see his recently renovated camp site on either an hour and a half jungle queen boat cruise or alone by canoe rentals. There are also professionally led ranger guided tours of the 1930’s pioneer homestead of Trapper Nelson, given all year long. Trapper John’s story continues to inspire and draw in visitors year in and year out. More recent history is the fact that this park was also a secretive Second World War training camp. Taken altogether, Jonathon Dicksinson State Park offers more history than most state parks ever dream of having. Must-do activities include a peculiarly entertaining river tour. Available on Thursdays, the Trapper Nelson Interpretive Tour takes 60 campers at a time up the river to a 1930’s camp once owned by a man named “Trapper” Nelson. He was something of a rugged, wild trapper who transformed his camp into the area’s first tourist attraction. The camp is only accessible by boat, and his unsolved death in 1968 adds a certain mystery, which is heightened by the camp’s remote location. As for facilities and attractions here at this incredible state park, visitors are pretty spoiled for choice. Park visitors can engage in off road biking or paved road bicycling. There are plentiful hiking trails and even a good number of equestrian trails. Canoeing, boating, and kayaking on the river also provide fascinating means for seeing this beautiful park in a range of water craft. Fishing enthusiasts are able to fish on the riverbanks. They can also practice their angling from a boat mid-river. Some people enjoy the natural and historical attractions of Jonathon Dickinson. These are brought to life with unique displays and interesting exhibits at the Elsa Kimbell Environmental Education Research Center. The center also puts together programs for families and kids out of the center. RV camping users will not be disappointed in the state park. There are nearly 11,500 acres waiting on them to explore. Besides the hiking, canoeing, camping, and cycling opportunities, visitors can enjoy picnics and nature studies. The heart of the state park remains the Loxahatchee River. This was the original federally designated waterway as a Wild and Scenic River. It meanders peacefully throughout the park beneath the canopy of cypress trees. The campgrounds themselves are open fully 365 days each year from 8 in the morning through sunset. Visitors can make reservations as many as 11 months beforehand. RV camping enthusiasts have many facilities to enjoy at this state park. These include electricity, water, a picnic table, a grill, and restrooms, central showers, and a dump station. More information is available from the park’s website or call 772.546.2771. The park boasts 147 individual campsites. They are grass surfaced sites in which you can back in your RV. The site spaces are more than sufficient to get both your towing vehicle and travel trailer in. All campsites include picnic tables and fire rings. The power hookups are geared for both 30 Amps and 50 Amps. There is no sewer connection available. The cost per site is only $26 for each night and day, in or outside of peak season year round. 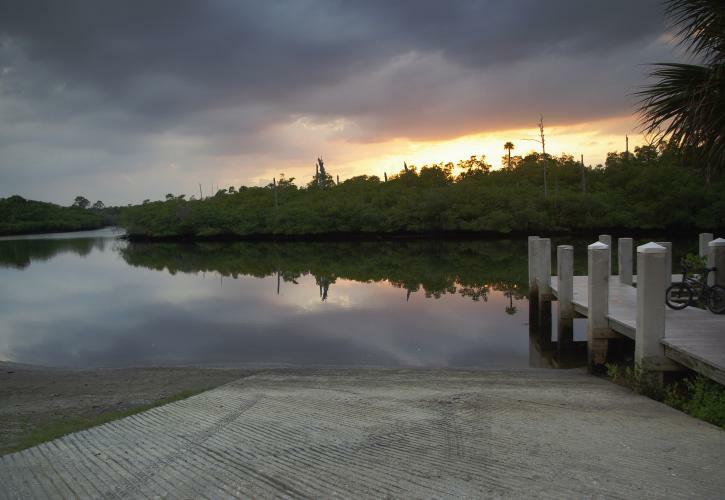 The state park is found directly on U.S. Highway 1, approximately 12 miles to the south of Stuart and three miles to the north of Tequesta. There are signs on both the Florida Turnpike and from I-95. The state park promises something for everybody who loves nature, recreational opportunities, and the great outdoors.